Mahalo to the beautiful and inspiring Hiba, (Cloud of Lace) who took a minute to designate me my very first WordPress nomination, or any nomination in this blogesphere EVER, The Versatile Blogger Award. Cloudoflace is about everything and anything marvelous- from art, to fashion, to recipes….”little treasures” as she calls them. 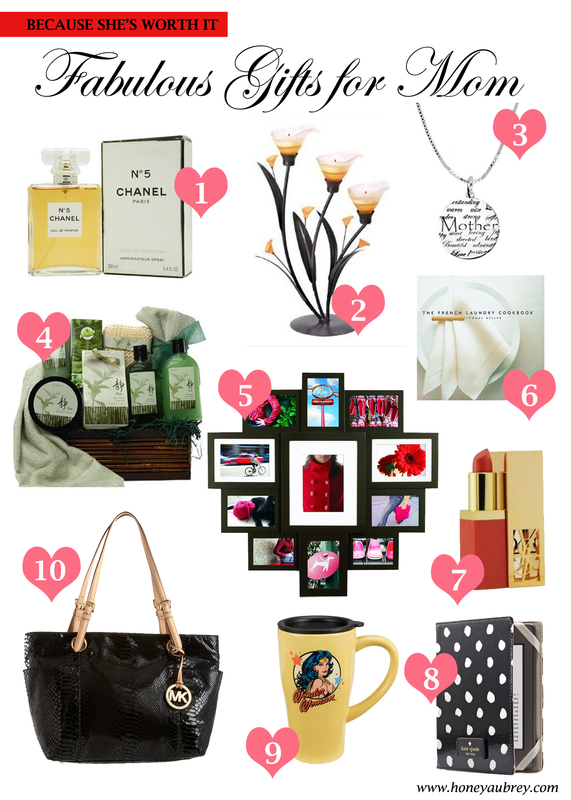 Reading her blog is just refreshing. So of course, I was delighted to find out she feels the same about mines. Again, as we say here in Hawaii, Mahalo Nui Loa, Hiba! Here are 15 wonderful bloggers/blogs that I have truly enjoyed reading, and would like to share them with you by nominating them for the Most Versatile Blogger Award. 1. I love love love love Starbucks, especially mocha frap and hot mocha with 3x shot on busy days. I’m a proud Starbuholic, and a chocoholic. 2. I’m very flexible. I owe it all to yoga pilates that I’m so busy to do nowadays. 3. My hair is jet black, thanks to my beautiful Filipina mother who had always told me to never color my hair. 5. I have five siblings who I love so much – Natalie, Ersa, Neil, Sally, & Dessa. 6. I heart Korean dramas, especially romantic comedy, and the lessons behind them. 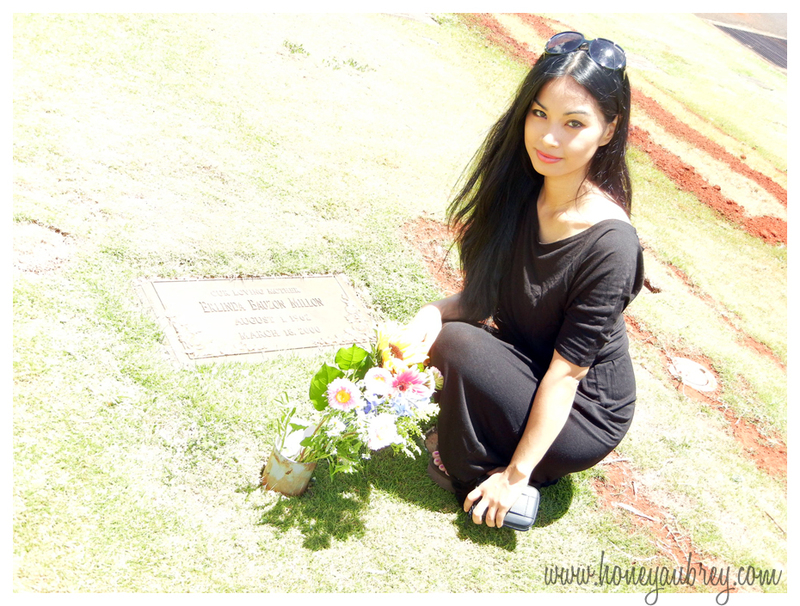 I truly believe in undying love and devotion, that through any trials and tribulations, love conquers all. 7. In April 2010, I launched Fashion With a Mission, a non-profit organization focusing on providing clothes to orphaned children throughout the globe. The organization is still on its beginning stages, however, I hope to fully establish Fashion with a Mission and encourage fashionistas that “we can make a difference, one trend, one style at a time”. 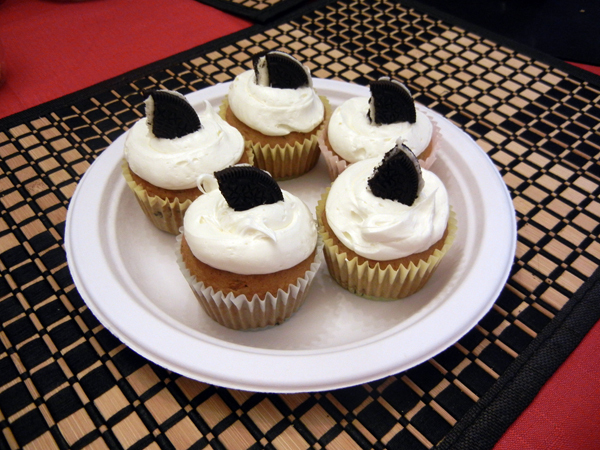 To help endure this dreary weather, I decided to make cupcakes in celebration of Oreo’s 100th Birthday. 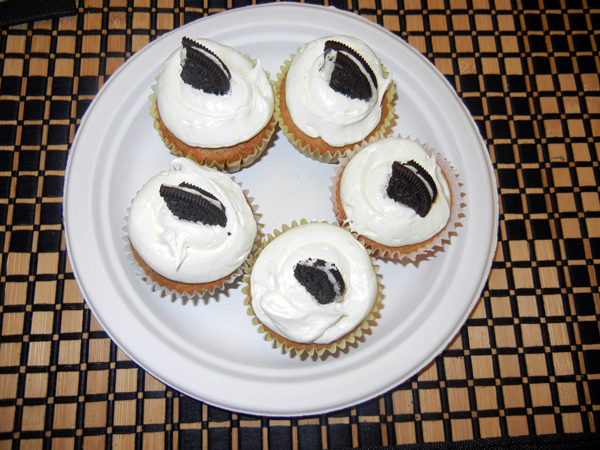 With the help of two of the coolest teens you’ll ever meet, we were able to create a batch of delicious Oreo Cupcakes. 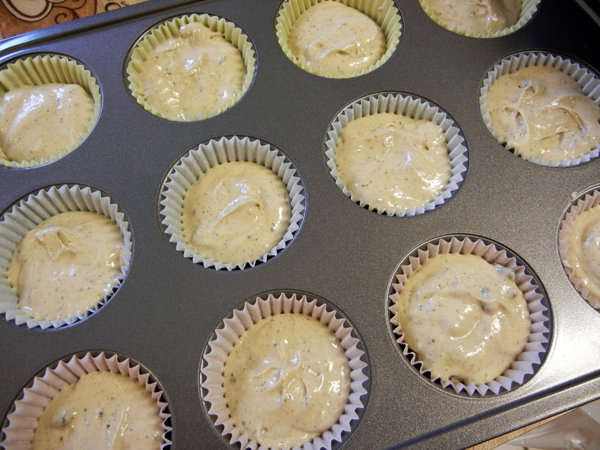 Below is a basic recipe for Oreo Cupcakes, Miss Honey’s version. I deviated from the original Death by Oreo Cupcake Recipe, just a little bit. 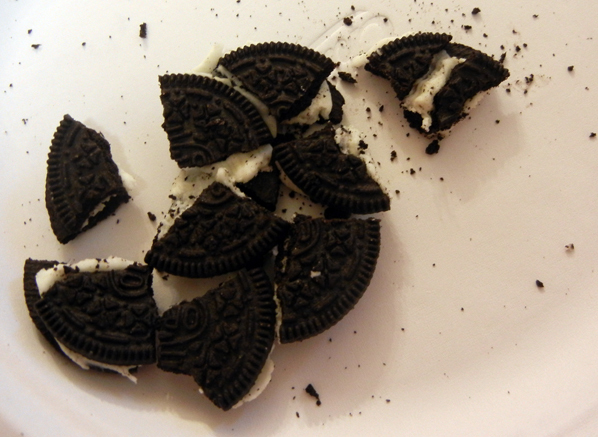 The cupcake itself, as you will see, is overloaded with oreo cookies. Instead of making an oreo-filled frosting I decided to go with plain vanilla frosting as it evens out the taste so you can enjoy the oreos and the cupcake bite by bite! I hope you love them as much as we did. 2.) Mix packaged cake mix according to directions (do not bake). 3.) 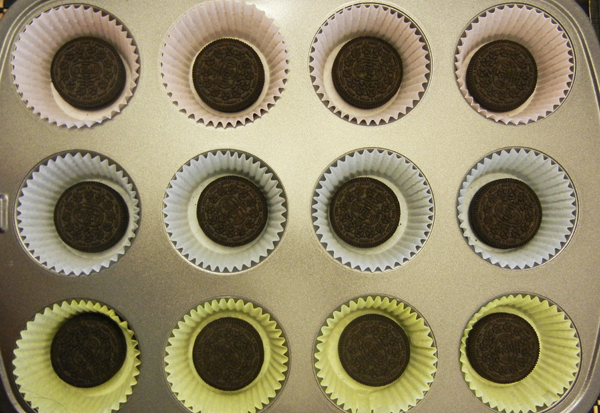 Line cupcake tins with liner, place one regular size Oreo cookie in each liner. 4.) 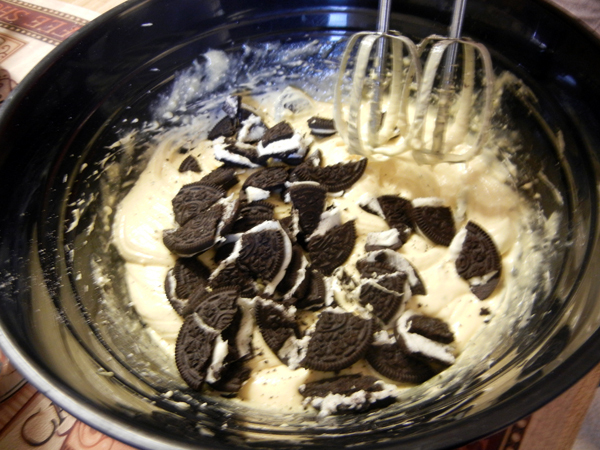 Take 1/2 of the remaining cookies, break into pieces and add to cake mix. 7.) 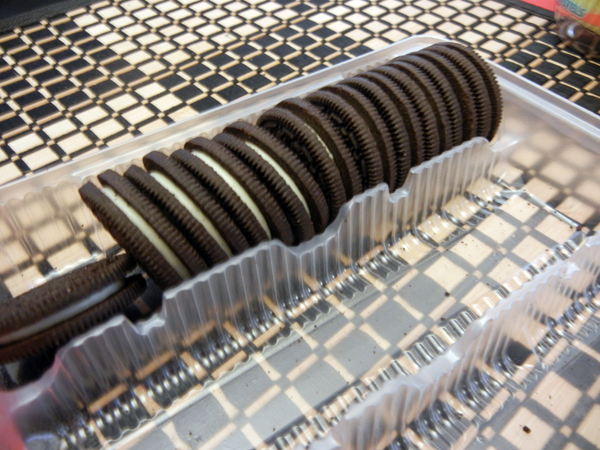 Cool cupcakes and decorate using remaining regular sized Oreos (cut 1/4) or mini Oreos. People around the world, pessimists and optimists alike usher in the new year in distinctive ways. Whether its to bring in great luck, or to simply just forget memories of the ending year, the New Year signifies a new beginning, and new opportunities. JAPAN- Bonenkai or “forget-the-year parties” are held to say goodbye to all worries, misunderstandings, grudges and all other problems of the previous year, and prepare for a new beginning. At midnight on New Year’s Eve, the Buddhist temples strike their gongs 108 times, an attempt to dismiss the 108 types of human weaknesses. SPAIN & PORTUGAL– When the clocks strikes 12, it is a tradition to quickly consume 12 grapes, one grape for each stroke of the clock, signifying good luck for each month of the coming year. ITALY- Red underwear is worn, supposedly bringing love and luck in the New Year. 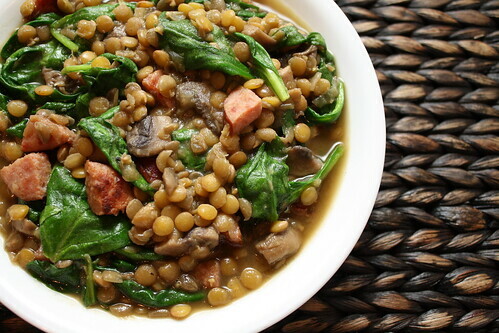 Lentil stew is also eaten when the bell strikes at midnight- one spoonful per toll of the bell. GREECE- A special New Year cake is baked by all the members of the family, called the St. Basil’s cake. A silver or gold coin is buried in the dough and baked. The cake is distributed to everyone and whoever finds the coin in their piece of cake is said to be especially lucky during the coming year. PHILIPPINES- Round shapes symbolize prosperity for the coming year as they represent coins. Round fruits are displayed on the dining table during New Year’s Eve, and clothing with circular patterns such as polka dots are also worn. To scare off evil spirits, people also blow on “torotots” (plastic horns), bang pots and pans, and of course, lighting firecrackers and fireworks is a tradition. DENMARK- Danes collect old dishes throughout the year and then throw them at the front doors of friends and families. The more broken dishes you have to clean means the more friends you have. It’s still 10:30pm here in Hawaii, and we still have an hour and half til midnight. Most of you may have already rung in the new year, but regardless of where you are in the world, what traditions you practice, may you have a fabulous, and very Happy 2012!